Provoked by Graham Greene’s The Quiet American, this novel tells the story of Phuong, from her childhood in the Vietnamese district of Cu Chi to her return there as a guerrilla fighter. 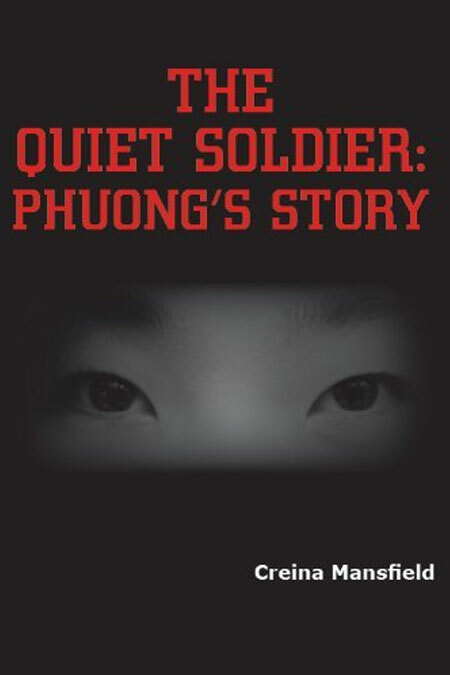 Phuong’s unmentioned past, subdued personality, and lack of political expression are the subjects of the novel, which begins during the American-Vietnam war. From the tunnels of Cu Chi, Phuong fights outside a village near her birthplace. There, she recalls her upbringing, her journey to Saigon, and the years she spent there as a spy for the Vietminh. Under orders from the communist committee, Phuong ensnared Thomas Fowler, a British journalist, because he was a rich source of information. Later, Phuong was ordered to become the mistress of Alden Pyle, a newly arrived American whom she realized was, like her, a covert operator. Creina Mansfield was born in Bristol, England in December 1949. She was named after one of Queen Elizabeth’s ladiesin- waiting, according to her own mother who worked at Buckingham Place. She is married and has two adult sons and a grandson. A teacher, she has degrees from Cambridge and Manchester Universities. She has published seven works of fiction for young people, some of which have been translated into French, German, Portuguese, Italian, and Danish. Her special interests are the modern novel and the theory of narrative structure. She lives in Cheshire with her husband and their dogs and cats.